The city of Las Vegas, Nevada is one of the hottest tourist destinations in the world and it has held that distinction for many years. This is a city that truly never sleeps and it is an eternal delight to the tourists who flock there to enjoy it’s amazing huge casinos along with it’s more family friendly attractions. The city is situated in the deserts of Nevada not that far from Los Angeles, California. It is an attractive tourist spot for many reasons. Along with the 24 hours a day gambling in America’s biggest casinos, there are exciting shows and exhibits to see which are suitable for the whole family. Among the fantastic shows that you can see in Vegas is the magic show of David Copperfield at the Mirage Hotel. You can also opt to visit an exhibit about the life of rock n roll legend Elvis Presley. You’ll want to spend time wandering up and down the famous Las Vegas strip which has so much going on that it can be overwhelming at times. The electricity and energy pulsating through this city is incredible! Of course the biggest thing that Vegas is known for is it’s casinos. Vegas is a gambler’s paradise. Many people love to visit the city of Las Vegas because they can gamble. They have dreams of “hitting it big” and winning a fortune! While this dream doesn’t come true for most, the attempt can be quite thrilling. Music is another exciting feature of this city that is like no other in the world. Famous singers such as Celine Dion and Elton John frequently perform in Vegas. Of course the biggest musical related show in Las Vegas is The Beatles themed Cirque de Soleil: Love. This amazing show combines the theatrics of Cirque de Soleil with the timeless music of The Beatles. If you already have the Love CD then you’ll have some idea of what to expect as far as the revisualization of The Beatles music. If you haven’t heard the Love CD then it’s highly recommend that you purchase it now. The hotels in Las Vegas are among the most luxurious in the world and almost all of the hotels in Vegas have a huge casino inside! 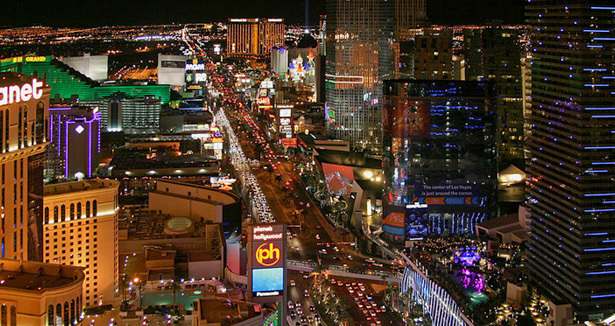 You can have an incredible time in Vegas without ever leaving your hotel! Among the incredible luxury hotels in Vegas is the Renaissance Las Vegas Hotel which is located on the aptly named Paradise Road. Even the Super 8 Motel in Las Vegas is exciting! The Super 8 in Vegas is the biggest Super 8 in the whole world and it includes a pool which you have 24 hour access to. And while it is one of the few Vegas hotels without a casino inside, it does have a casino right next door. If you want to stay at the largest casino on the Las Vegas strip then you should stay at the Golden Nugget Casino & Hotel which has over 45,000 square feet of casino space.